Please contact us if you are a press member and need a login. All other infos below are also accessible without login. When we hear the phrase “Viva la Revolución!” our thoughts turn to Che Guevara and Cuba, to socialism, the economic embargo, and the political tug o’ war. And of an exuberant and joyous attitude to life, one that gives no hint of the problems great and small that face the people who live there. Don’t speak spanish and wondering what the songs are about? 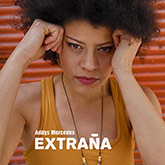 Sunday night and need photos from Addys Mercedes?